Enjoy Mediterranean Delights at Our FREE BAY AREA REAL ESTATE WEALTH EXPO – Your Future Starts HERE! 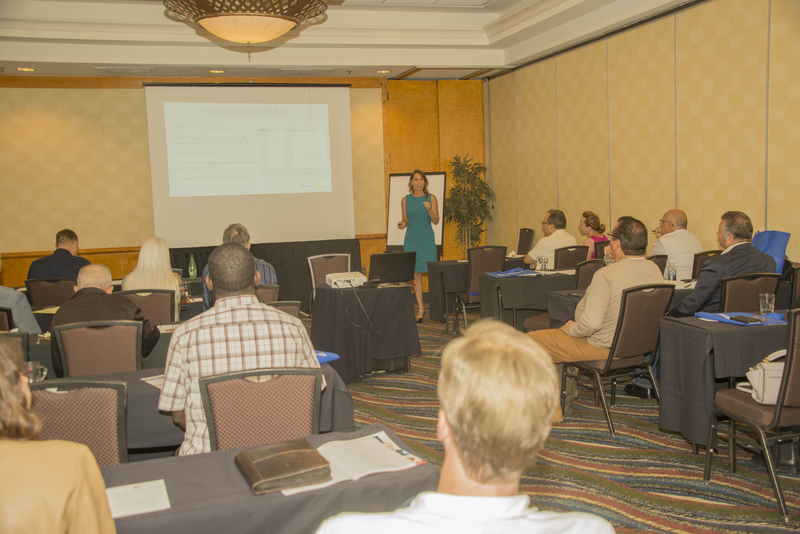 Don’t Miss this Informative, Educational Cash-flow Conference! SINCE 2007, REALTY411 HAS PRODUCED COMPLIMENTARY EXPOS AND PUBLICATIONS – OUR MISSION IS TO INCREASE FINANCIAL EDUCATION AND HELP AS MANY AMERICANS AS POSSIBLE INVEST IN REAL ESTATE TO IMPROVE THEIR RETIREMENT! TICKETS TO AN EVENT OF THIS CALIBER NORMALLY SELL FOR HUNDREDS OF DOLLARS. BE SURE TO TAKE ADVANTAGE OF THIS OPPORTUNITY. Realty411 expos are created and hosted by a California accredited investor with 24 years experience in print journalism. Realty411’s publisher has owned property and invested in California since 1993 and is an active accredited investor with both in state and out of state rental properties. Learn How to Profit in this NEW Economy with Real Estate, Stocks, and Personal Finance Strategies to Position You for Wealth in 2017. >> Learn from HomeVestors, We Buy Ugly Houses – America’s #1 Home Buyer in the Nation. They have purchased 75,000 homes in total thus far! >> Learn About Self-Directing Your IRA Services Trust Company and so much more! COMPLIMENTARY NETWORKING BREAKFAST MIXER AND APPETIZERS IN THE AFTERNOON FOR OUR BREAKS! NETWORK WITH EXHIBITORS, COMPANIES, REAL ESTATE GROUPS, CLUBS, AND SERVICE PROFESSIONALS – THIS IS THE PLACE TO BE! We Want & Can Help YOU Succeed As We Have. Bring Lots of Cards. Mingle with Local Leaders & Industry Professionals from Around the Nation! Influential Real Estate People & Business Owners Attending! Find Potential Partners, New Friends, Build Your Circle of Influence. * Celebrate Real Estate in Your Market! Our discussions cover a wide range of topics:Commercial & Residential Real Estate * Private Lending * Raising Capital * Networking Tips to Grow Your Influence * Strategies to Increase ROI * Gain Perspectives on TOP Local & National HOT Markets * Fix & Flips * Buy and Hold + Wholesaling, Notes & More… We have investors joining us from many states! and to further your potential in this industry, so don’t miss out! Learn Investor Tips to WIN in Real Estate in 2017 at this Event, Join Us! No matter what, please mark your calendar so you don’t miss out on this fantastic real estate and finance expo. Our goal is to provide fantastic resources to help you learn about real estate or grow as an investor. We know your time is valuable, so we have wonderful books, magazines, and other gifts to give away. Build NEW friendships and business collaborations with some of the industry’s TOP Leaders. Plus, guests will discover new resources to FUND deals. Joining us are incredible speakers, sophisticated investors, & VIP Industry Leaders. LIVE AND JOINING US FROM CALIFORNIA… KATHY FETTKE WITH REAL WEALTH NETWORK! DISCOVER TAX LIEN CERTIFICATES WITH AMERICA’S #1 AUTHORITY ON THE TOPIC: MR. TED THOMAS! Ted Thomas is America´s tax lien certificate investing and tax deed authority and an international speaker who has dedicated himself to finding and teaching the best investment strategies that can create wealth with minimum risk and easy to learn, that can help everyone including senior citizens and young people, and that’s why he chose Tax Lien Certificate and Tax Deed investing because it is Predictable, Certain and Secure. Ted has developed in-depth training programs that show you step-by-step how to profit from tax lien certificates and tax deeds. Don’t miss this fantastic presentation at our event. Invest one day in your education and discover profitable new niches in real estate that may change your life. Topstone Investment, LLC (“Topstone”) started in 2013 with two clear objectives – Do Well by Doing Good. At the core of our operations are the values associated with “social investing’. To us, it is more than simply ROI, it is a holistic approach to solving and tackling issues often encountered in the inner city. The company’s founders found a niche in buying, rehabbing and renting out Section 8 Properties in the Midwest (Kansas City, MO and Saint Louis, MO) markets. Since 2013 the company has acquired over 310 single family residences and rehabbed many to provide the residents with a clean, safe, upgraded home that they can live in. Topstone has acquired a large volume of homes such that certain neighborhoods have improved significantly. Residents are thrilled to be living in a ‘new, fixed up home’ where the property management team actually listens to them. We work closely with the local Section 8 Housing Authorities to provide families with homes in which the residents can safely raise their families. In return, we have had very low turn over compared to other Section 8 operators and that in turn results in greater cash flow for our company and our investors. 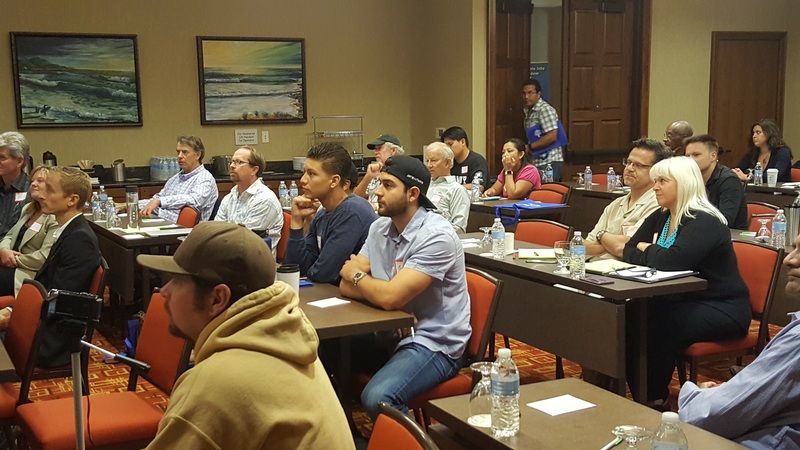 Since 2013, Topstone has expanded into several new markets and has built a ‘local team’ in each of the new markets. We currently offer investment opportunities to investors that are looking for solid passive returns on their funds. Andrew Chiu is one of Topstone’s original founders and the President of the company. He always seeks to maximize improvement in human and environmental well-being regardless of the company he leads or industry he revolutionizes. Through Topstone he is the original visionary of impact investing in social enterprises that create affordable housing through recycling old existing housing stock while revitalizing neighborhoods. Mr. Chiu is a serial entrepreneur and has a successful 20-year track record with new business ventures. He has brought a number of innovative, technology-driven ideas and companies through to commercialization. His track record ranges from enterprise software, renewable technology to green technology and LED lighting. He has transformed age-old industries such as life insurance and real estate into brand new market opportunities. Mr. Chiu’s business development has extended to markets in North, Central and South America, Europe, China, Hong Kong, Taiwan, Philippines and Southeast Asia. Mr. Chiu holds a Bachelor of Science degree in Computer Information System. Jason Simonin is one of Topstone’s original founders and has multiple certifications in the construction field. His is an expert with over 17 years of experience in affordable housing redevelopment. Mr. Simonin has created portfolios of profitable properties and set up extensive infrastructure to support the acquisition, rehab and tenant placement of hundreds of units at a time. He has owned and managed hundreds of units of Section 8 housing and has created extensive relationships with local area Housing Authority personnel and directors. Mr. Simonin’s management experience includes work on a 12,000 unit portfolio of senior and affordable housing units. Whether it be engaging and managing rehabilitation contractors, code compliance, or working with tenants, his approach with his teams and their day to day processes has a proven track record of success. Mr. Simonin carries the following certifications: OSHA, Water & Fire Restoration, Mold Remediation, and more. He also holds a state of Missouri real estate license for acquisitions. Kent Mak is one of Topstone’s original founders and is in charge of acquisitions and logistics to manage hundreds of properties in multiple markets simultaneously. He has nearly 20 years of experience with affordable/low income housing in Midwestern markets. Over time Mr. Mak and his management teams have “cracked the code” to large scale scattered site redevelopment in blighted areas, providing affordable housing and recycling properties in neighborhoods that were cast aside. Through experience with scalability and developing best practices, Mr. Mak and his teams have been able to generate higher than average returns in investment portfolios generally avoided by investors with less operational expertise in markets such as Sacramento, Phoenix, Kansas City, Tulsa, San Antonio and many other markets. In addition to spending many years working with affordable housing and student housing, Kent has developed supply chains to directly import construction materials directly from China to lower construction costs on large scale projects. Mr. Mak’s rehab projects were featured in a Showcase of Homes program by the City of Tulsa in 2006-2007 as his teams fought to eradicate blight and provide affordable housing to area residents. Bobby Sharma has had success with Silicon Valley startups and technology companies. Mr. Sharma brings years of Silicon Valley technology experience to help the company scale its operations and communications with investors. Mr. Sharma has helped implement tools to allow for better tracking of properties, rehabbing, leasing, payments, etc. Mr. Sharma has also built a platform to provide investors with greater insights into new opportunities and tracking current investments. Tom K. Wilson began building his personal real estate portfolio in the 70’s. He first invested as a part-time activity, and then after thirty years managing manufacturing and engineering in some of Silicon Valley’s pioneering technology companies, he put his business and management experience toward full-time real estate investing. Mr. Wilson has bought and sold more than 3,500 units and over $250 million of real estate, including three condo conversion projects, nine syndications, and eight multifamily properties. He founded and owns Wilson Investment Properties, Inc., a company that has provided over 500 high cash flow, high-quality, rehabbed and leased residential properties to investors. Active in real estate associations, Mr. Wilson is a frequent speaker on real estate investing where his candor and competency makes him an audience favorite. As part of his outreach, Tom provides mentoring to new investors. His weekly radio show Real Estate Radio Power Investing provides extensive education on real estate investing. Adiel Gorel is the CEO of ICG, a prominent real estate investment firm located in the San Francisco Bay Area. Since 1983 he has successfully been assisting thousands of investors with purchasing U.S. properties. Through ICG he has personally invested in hundreds of properties for his own portfolio and was involved in the purchase of over 5,500 properties for ICG’s investors in Phoenix, Las Vegas,Jacksonville, Orlando, Tampa, Dallas, Houston, San Antonio, Austin, Oklahoma City, Salt Lake City, to name just a few. Mr. Gorel holds a master’s degree from Stanford University. His professional experience includes Management and Director Positions in firms including Hewlett- Packard, Excel Telecommunications, and Biotechnology firms. Bruce Dinger is many things; a serial entrepreneur, a professional trader, a real estate investor, a hedge fund manager, a public speaker, an educator. Most importantly, he is a wealth builder. Bruce’s passion is to create generational wealth using multiple revenue streams, and his ethos is to impart his knowledge through mentorship programs and public speaking to others. Michael Morrongiello is an active investor who specializes in Real Estate & Real Estate “Paper” investments. Widely known as having one of the most knowledgeable & creative minds in the paper business, Michael started creating paper as a result of his own Real Estate investment activities in the early 1980’s. He is very active in the Buy/Sell renovation business of properties here in the SF Bay Area. Michael is the author of; Paper into Cash – The Convertible Currency-the definitive home study course that assists you in structuring seller financed transactions while creating marketable Notes and The Unity of Real Estate and “paper” – a course book that outlines numerous real world in the marketplace transaction scenarios and solutions where Real Estate and financing techniques involving “paper” can be effectively used. Michael is also the program director for BAWB- the Bay Area Wealth Builders Association- an educational support group for both the beginning and seasoned real estate investor. Bill Walsh a venture capitalist and is the CEO/Founder of the Success Education/Business Coaching firm Powerteam International. Bill hosts and speaks at events all over the world! His passion is to empower entrepreneurs and business owners to create massive success. He is the best selling author of the book “The Obvious”, is an amazing speaker, radio personality and movie celebrity. He has a very successful background in finance and marketing. He has spent over two decades working with start-ups to major global brands to help them increase sales, productivity and overall success. He is an innovator with a remarkable ability to determine and build success plans to help business owners seize immediate market opportunities. For everyone that owns a business or would like to capitalize their entrepreneurial dream, his message will enlighten them with knowledge and action principles to turn that passion into success! Bill has an extensive background in foreign currency trading, real estate development and building businesses in more than 30 countries. Over the past two decades, his firm has specialized in helping companies launch, grow and create exponential valuation in the market. In 2005, he formed his own company, Powerteam International to spread his message to a wider audience. Powerteam International provides Success Education programs around the world. The programs are designed for individuals, companies, and organizations that are interested in creating even more success. Bill is committed to raising the awareness of entrepreneurs, business owners and organizations world wide! Armando Montelongo, Star of “Flipping Nightmares” and former star of A&E’s “Flip This House” – Armando is the ORIGINAL real estate reality star, and is consistently ranked as one of the most successful Hispanics in business. The OG of house flipping, Armando Montelongo, is back with a new television show, new houses to flip and the same ‘don’t-give-a-#%&$!’ attitude that made him famous. Armando first burst onto the scene in 2006 with a nearly three-year run on “Flip This House,” and then largely steered clear of television. He made a few appearances, including a 2015 episode of CBS’ “Undercover Boss,” and some others. Meet Armando IN PERSON at this event! Learn Directly from Real Estate Leaders – Joining Us from Our Arlington, Texas: Todd Dotson – GET IN, GET OUT, GET PAID! Todd Dotson was born and raised in the Bay Area and now resides with his family in Arlington, Texas. He is the founder of TIER ONE Real Estate® and the Nation’s foremost authority on Getting In, Getting Out and Getting Paid. Todd brings a reality-based approach to the business of real estate investing with an emphasis on “buying and selling” to create immediate cash and a system for parlaying that into wealth. He has earned numerous achievement awards, and demonstrates daily that talent, drive and ambition really do lead to success. Justin also excels as an inspirational youth and marketplace speaker. People can feel his powerful presence when he walks into the room. He wants to make a difference, and he takes that responsibility extremely seriously. Justin’s passion and desire to see people rise to success leaves a lasting impact as he challenges all to become the champion they were created to be. Justin will introduce our guests to an amazing financial strategy: FOREX. Trading foreign currencies is a trillion-dollar a day industry and individuals, as well as insitutions and corporations are capitalizing on movement of currency. All trading can be done on your phone, 24 hours per day. Justin and his team are actively trading on FOREX with a company that has opened up the knowledge and access to trading to average, regular people without a traditional financial background. Learn how to Implement a NEW Strategy into Your Portfolio and LIFE for FINANCIAL FREEDOM and to also diversify your holdings and knowledge. We never stop learning and growing and neither should you. One unique aspect of this international market is that there is no central marketplace for foreign exchange. Rather, currency trading is conducted electronically over-the-counter (OTC), which means that all transactions occur via computer networks between traders around the world, rather than on one centralized exchange. The market is open 24 hours a day, five and a half days a week, and currencies are traded worldwide in the major financial centers of London, New York, Tokyo, Zurich, Frankfurt, Hong Kong, Singapore, Paris and Sydney – across almost every time zone. This means that when the trading day in the U.S. ends, the forex market begins anew in Tokyo and Hong Kong. As such, the forex market can be extremely active any time of the day, with price quotes changing constantly. Read more: Forex Tutorial: What is Forex Trading? 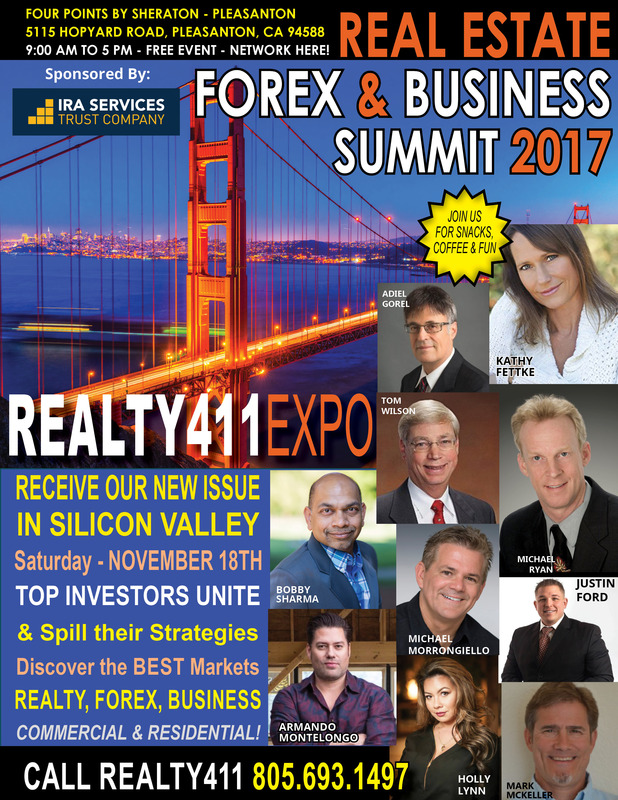 DON’T MISS THIS INCREDIBLE AND ACTION-PACKED DAY BROUGHT TO YOU BY REALTY411 MAGAZINE! PLANNING YOUR BUSINESS FOR YOUR BEST YEAR YET! Do you plan your business, or does your business plan you? Day to day tasks can push you further and further away from achieving your goals without a solid business plan to keep you focused in the right direction. A business plan’s value is primarily in the process of creating it–in the thought processes it takes to really understand your business and where it needs to go–not in the end plan. A written plan doesn’t have to be long to have value. Let’s step through the elements that will result in a thorough plan to get your business off to the right start or move your current business to greater success. The Big Picture: Mission and Vision Statements. State your product or service, market, size, location and business approach. What will your company look like in three years? This is your elevator pitch to state what and who you are. Products and Services. Define your product or service in detail. What are the features and benefits that will make it unique from your competition? What are your price targets? How much volume and growth are you planning? Market Analysis. What are the characteristics of your market sector? What is your specific target market and demographics? Who are your competitors and what are the pros and cons of their products and business? Marketing. Describe how you will brand and advertise your business. What will be your marketing and sales channels? What incentives will you give to your customers and partners? Clearly define your business model monetization. Strategy. State what the strengths and weaknesses are of your products and/or services and of your company. Describe the business opportunity that you will capitalize on and your market positioning. Define your biggest threats and how you will defend against them. What and when will be your business exit options? Operations. Give the details for your organization structure: legal entity, key personnel, partners, equipment and facilities. Tell how you will manage the production and processing of the business. Write down a time-line with the human and material resources needed to execute your start up and growth. Financials. State your precise sales, profit and cash flow objectives over time. Define your financing and capital requirements and what your metrics will be, that is, your accounting methods and tools, and your measurements of performance. And lastly, create financial scenarios for the best case and worst case, as well as target plan. Now is the time to prepare for variations from the goal, not when you are emotionally in the hot seat. 1 Write your business plan for a lay person, not a specialist in your industry. Keep it simple. Never outsource your business plan. 2 Create a Board of Directors. It doesn’t have to be formal. Utilize mentors, peers, and friends. 3 Secure employees, partners, and resources with direct experience in your area of business, even if they have had failures. 4 Use focus groups to test ideas (get some friends together for a focus party). 5 Manage cash flow and capital very carefully. More businesses fail for negative cash flow than for lack of profit. 6 Plan for the potential. Most financial goals take twice as long and twice as much capital as forecasted. 7 Passion, persistence and hard work = over half of success. 8 Be Persistent: Many successful companies took a long time to get financing and partners to believe in them. 9 Talk to Your Competition! You’d be amazed at what ego will prompt your competitors to tell you. Start off with a compliment and share something about your business. Sharing information is usually a win-win situation. 10 Keep honing your business. You don’t have to do it all–network, use mastermind groups, and delegate. DO YOU WANT TO LEARN FROM TOM WILSON IN PERSON?! Discover more at http://TomWilsonProperties.com or call 408-867-1867. Listen to Tom’s weekly radio show at 2 pm Wednesdays on KDOW 1220am, San Francisco’s leading business radio station. Podcasts are available on the website, iTunes and YouTube. At CIX our mission is simple. We connect real estate investors with the funding they need to get their deals closed. 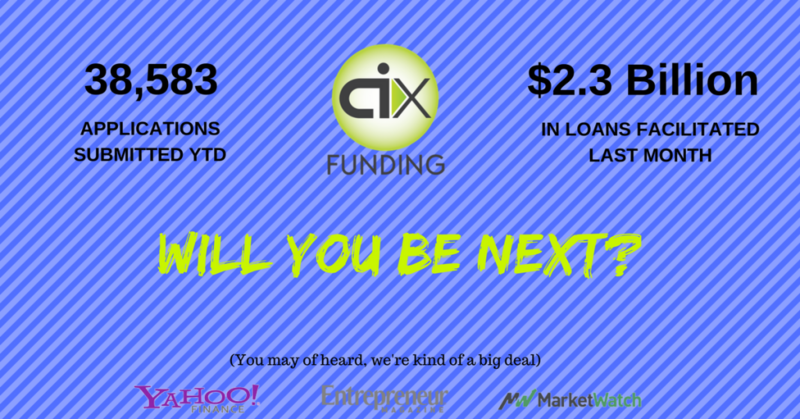 With a network of over 100 of the nation’s top hard and private money lenders, we took the begging out of the process and have the lenders compete to fund your deal. This is logic based lending; if the deal is there, the money will follow! Applying takes less than a minute and just might be the best thing you do today. Realty411, the Fastest-Growing Magazine in the Nation, Finishes the Year Hosting 27 Events in Eight States with Nearly Registered 4,000 RSVPs. The preliminary numbers are in and Realty411 leads the way once again in reaching more investors in person this year. According to Ticketleap.com, nearly 4,000 people registered for a Realty411 event in 2017. Most registrations were the result of extensive marketing efforts by the company, which had planned and executed a national campaign the year prior. Realty411, the nation’s longest-running magazine owned by the same publisher, hosted and produced 27 expos and conferences in 2017. Most of the events were in California, followed by Florida, New York, Texas, Nevada, Arizona, Oregon, and Georgia. The exact number of RSVPs to date is 3,859, as of November 16, 2017, with more expected on the way for their next three California conferences: In Pleasanton (November 18th), Santa Barbara (December 2nd) and Carmel (December 9th). The company’s end-year goal is 4,000 and only 141 RSVPs remain. 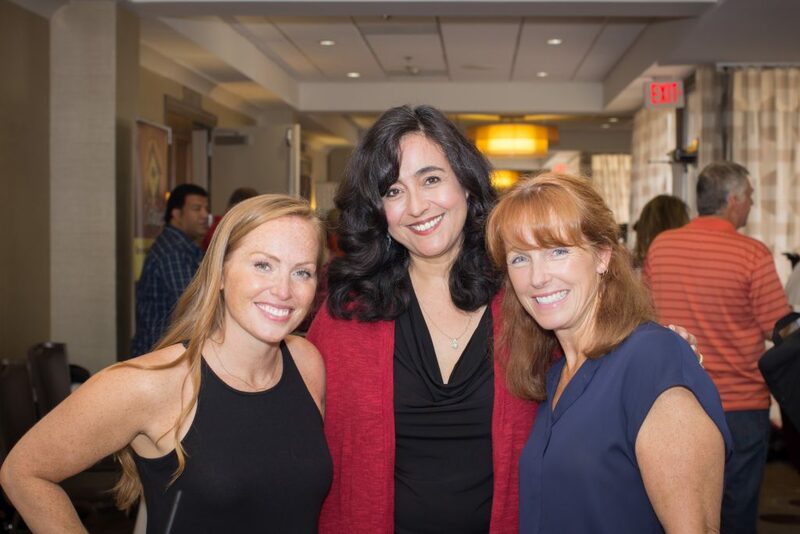 Featured speakers at Realty411 events this year included four HGTV celebrity stars from the hit shows Good Bones and Listed Sisters, as well as prominent educators in the REI arena, such as: Tim Herriage, Michael Morrongiello, Carl Schiovone, Cameron Dunlap, Ted Thomas, Albert Lowery, Reggie Brooks, Todd Dotson, Laura Alamery, Michael Poggi, Dr. Teresa Martin, Esq., Hector Padilla and many more, as well as business experts — such as Bill Walsh and Davin Michaels, plus FOREX educators: Justin Ford and Curtis Kobaine Branch. The complimentary events are a way for Realty411 to meet their readers, subscribers and national sphere of influence. “We want to reach as many people as we can whom we are connected with on social media,” says founder Linda Pliagas. “We have a huge online following on many platforms and it’s great to actually meet people face-to-face and ask them how we can help them,” she adds. She credits her sponsors, friends and family for their support, which enables her to realize her dream of traveling the nation providing resources to as many investors possible. “Real estate has enabled me to see the nation,” Linda says, admitting that prior to investing in real estate, her world was limited to yearly trips out of Los Angeles, most likely to other parts of California. Hollywood is Calling – ANSWER IT ~ Enjoy Reading Our Latest News. We are getting ready for 2018 NOW and positioning our company to take MASSIVE ACTION for explosive growth, visibility, and business. Our goal is to reach as many of our readers, followers and fans in person, and our plans include 20 plus events in 2018 all over the nation. This Saturday, we will enjoy our LAST expo this year in spectacular Carmel-by-the-Sea, a quaint and luxurious coastal city in Northern California ( TO REGISTER CLICK HERE ). NEXT, we will jump-start 2018 in the first state we invested in outside of our area: Arizona. Enjoy a full day of education on the Local Market, Out of State Investing, Find the FUNDS You NEED to Grow, PLUS Do More Deals HERE with Multiple Sources. Learn to Invest the RIGHT Way, Discover Notes, FOREX, Wholesaling, Syndications, and MORE! After that, we return to Los Angeles to host our LEVERAGE EXPO in one of the most beautiful cities on the coast: Santa Monica, California. HOLLYWOOD IS CALLING – ANSWER IT! All guests of our LEVERAGE EXPO in Santa Monica will have an opportunity to meet our producers of PROPERTY PITCH in person. Be sure to ask them questions to learn about breaking into the entertainment industry. Learn how to get your idea on TV. Discover how to protect your intellectual property, and get other fantastic tips and ideas from award-winning producers who have active syndicated shows on the air. Get a Behind-the-Scenes view on TV realty reality shows: How are they developed, pitched and produced? Why are some picked up while others are not? How do you protect your intellectual property and TV script idea? Learn here at this special day celebrating our new issue. Our Property Pitch producers will be featured at our event to answer questions and also film some roll for the TV pilot we are shooting and promoting at our national events across the nation. CLICK HERE RSVP! BACKGROUND: Realty411 was approached to help develop and produce a TV pilot, we have been thrilled to be a part of the process of auditioning and assembling investors from around the country for this project. Learn more at out special event in Santa Monica. Plus, network with exhibitors, such as turnkey providers, mortgage brokers, private lenders, and local real estate groups. DOWNLOAD OUR EVENT AGENDA – CLICK HERE – THANK YOU FOR YOUR INTEREST. Realty411 has been attracting an international readership since the first print magazine became available in digital format in 2008. Shortly thereafter, the California-based media company, began to include international marketing efforts in their outreach campaigns. Several collaborations with international real estate organizations formed, such as the magazine being chosen as the exclusive US-based media sponsor for IREX. The shows draw high net worth visitors from all over India and has participation from leading real estate developers and investment firms from US, UK, UAE, Australia, Cyprus, Greece, Sri Lanka, Thailand etc. The expos serve as an innovative meeting platform and brings international real estate developers face to face with individual and corporate investors, real estate agents, property marketing companies and professionals from all over India. Through the show, the participants can create brand awareness and exposure in the fast growing Indian market for international real estate. IREX attracts international real estate marketing companies like Colliers International, Knight Frank, Ray White, etc. ; Investment Immigration companies like Step America, CS Global, etc. ; real estate law firms like IPCA, JSK Law etc. ; hotel chains like Dusit Thani, Resort Group, etc. Distinguished companies like Emaar Properties, Sotheby’s International, Sobha Hartland, Herald Land, Trafalgar Properties, Shangri La have also been part of IREX. IREX and Realty411 have collaborated on previous expos and will continue as IREX expands its exposure of US-based investment opportunities at their events. Realty411 has been serving the needs of international investors since 2007 with the development of their first digital magazine available on dozens of websites for complimentary download. Realty411 soon became a trusted resource for investors seeking information about US-based real estate opportunities, funding options, and educational development. In addition to now publishing multiple magazines and hosting their own expos, Realty411 owns and operates several private and public online social media networks frequented daily by thousands of investors from around the globe who are interested in learning about US-based real estate investment opportunities, including: Canada, Australia, England, China, India, Israel, Malaysia, Japan, Greece, Hong Kong, and more.